Of the total posts, 54,953 vacancies will be for the Constable post (General Duty). For this, direct recruitment will be done through the Staff Selection Commission. For this SSC will conduct computer-based written examination for one month. This examination will begin on 11th February and will continue till 11th March. The maximum number of total recruitments for the Constable posts will be 21,566 in CRPF. In BSF, vacancies will be filled up to 16,984 Constable Posts. In the SSB, 8,546, in ITBP 4,126 and in Assam Rifles 3,076 Constable vacancies have been decided. 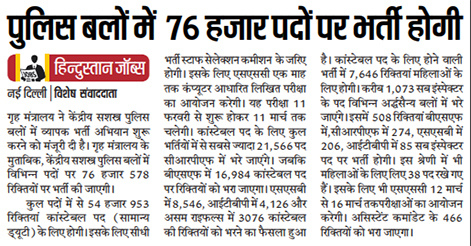 For recruitment for Constable Posts, 7,646 vacancies will be for women. About 1,073 posts of Sub Inspectors will be filled in various Paramilitary forces. Of the total 1073 Posts of Sub Inspectors, 508 vacancies will be recruited in BSF, 274 in CRPF, 206 in SSB, and 85 in ITBP. 38 posts have also been reserved for women in this category. For this SSC will hold the examination from March 12 to March 16. Around 466 posts of assistant commandant will also be filled. Help us to improve this article/job posting "76,000 Posts in Police Forces will be recruited soon". We would be glad if you can comment below and provide your valuable suggestions and feedback. If this page have any wrong information/list or out of context content, then you can report us as well. 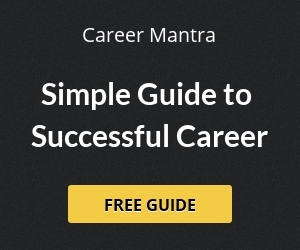 What is the process for applying? ?? what is the procces for applying??? ?